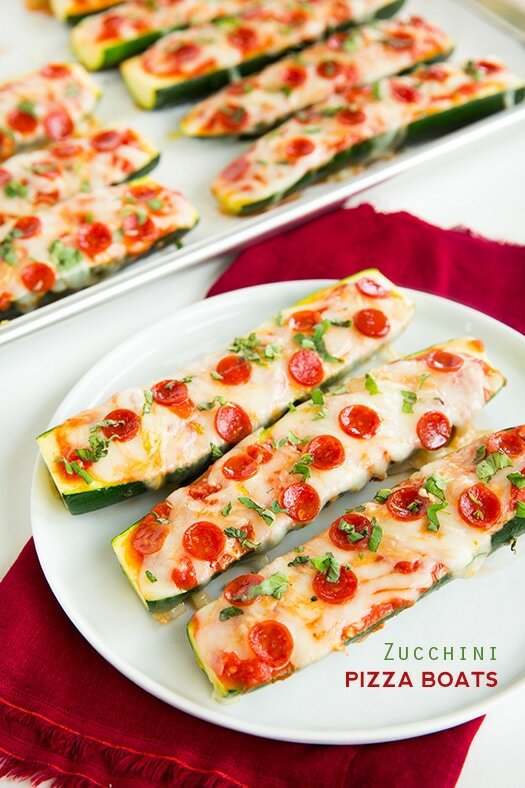 A healthier form of pizza!? Sign me up! Really I was skeptical about these before trying them myself, but I’m hear to tell you my entire family loved these! That is including two picky eater kids, a husband that doesn’t like veggies, myself (and I am a pizza snob, it HAS to be good, and my mom who hates pizza (I know seriously who hates pizza??). So indeed they were a success and they are definitely going to be added to my rotation. I absolutely loved them! 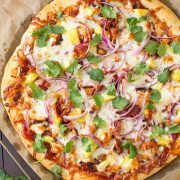 They have so many delicious flavors and a wonderful texture when baked just right., and it’s a meal I don’t have to feel guilty about, even better! I’m pretty sure you too are going to love these! What’s not to love? 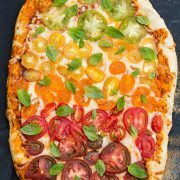 You get part of your daily veggie intake in pizza form and they are incredibly easy to make (especially when you use a store-bought marinara sauce) – we are talking like 15 minutes prep. Then, they only take about 15 to bake so you’ve got an amazing 30 minute meal right here. Busy days just got a whole lot better. 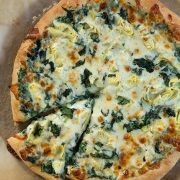 All the flavors of pizza without the extra carbs from a heavy crust! 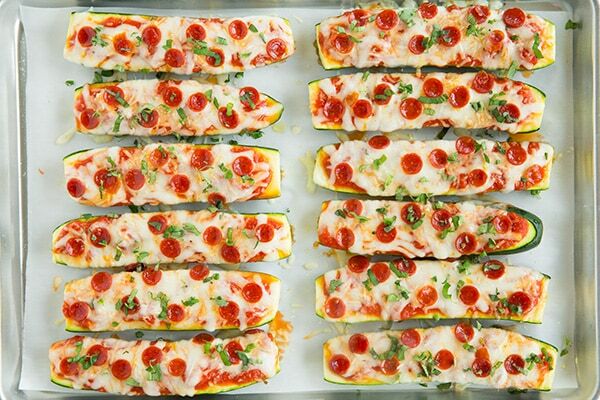 This option is healthier and still incredibly delicious! 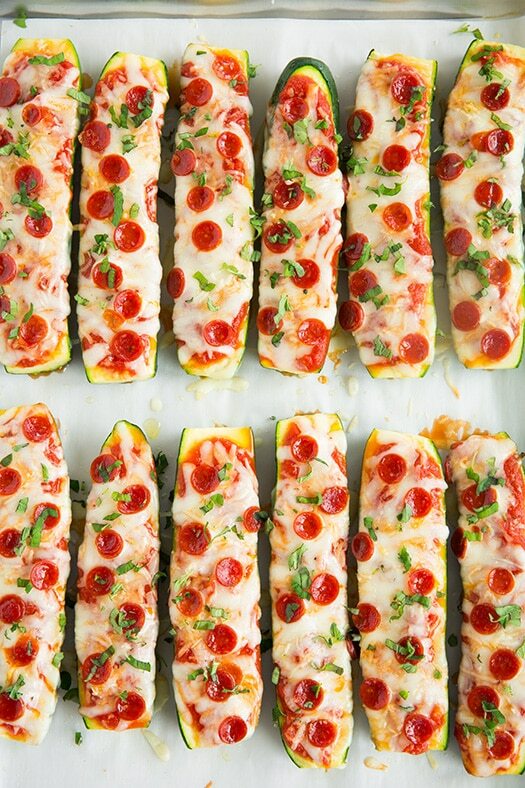 A great way to use up zucchini too. 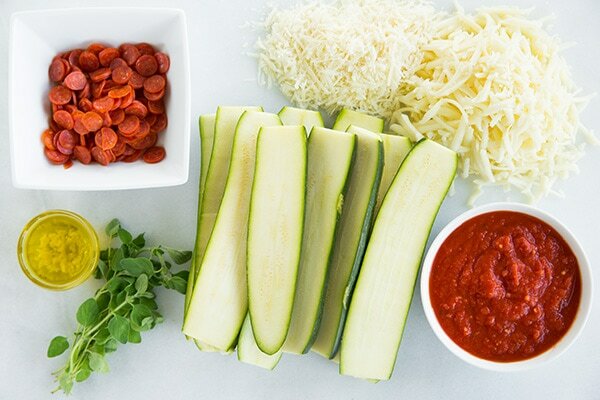 Cut each zucchini into halves through the length (if they don't lie flat trim a thin portion from bottoms so that they will lie mostly flat. I only had to do this with one of them). Pat insides dry with paper towels (cut portion). Align on prepared baking sheet. 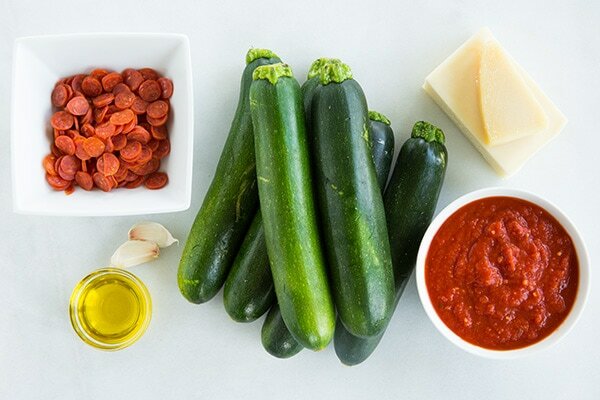 In a bowl, stir together olive oil and garlic then brush lightly over tops of zucchini. 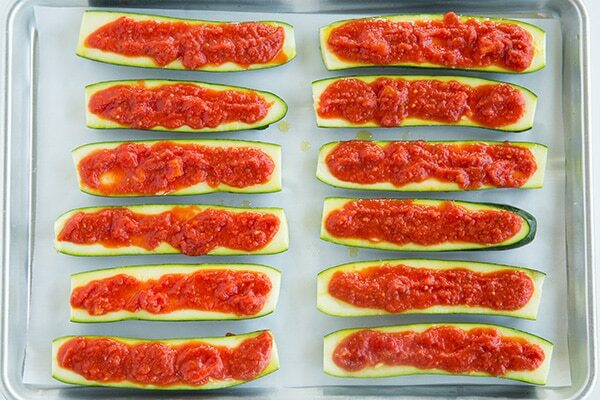 Sprinkle with salt and pepper to taste then brush a slightly heaping 1 Tbsp marinara sauce over each zucchini, leaving a small rim near edges uncoated. 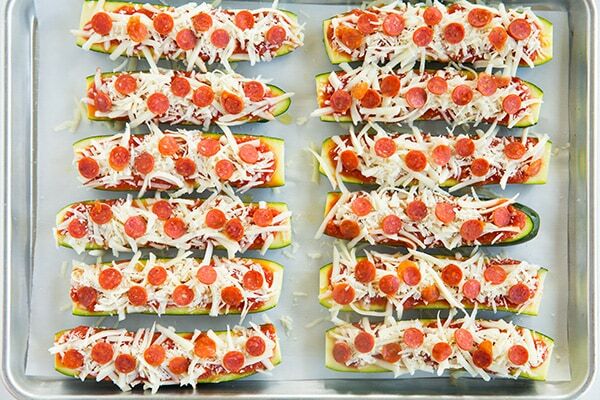 Sprinkle tops evenly with mozzarella cheese then with parmesan cheese. Top with pepperoni slices (placing them more near centers as the cheese will melt and spread). 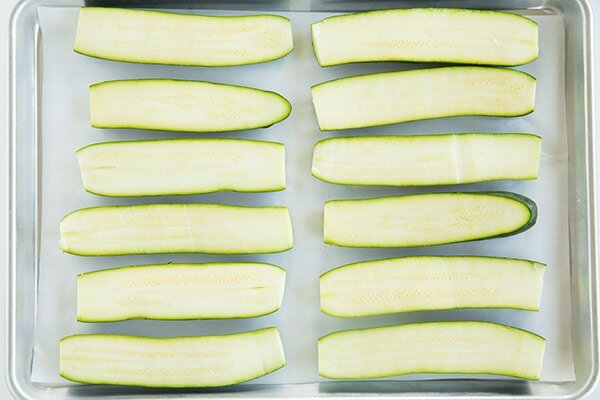 Bake in preheated oven 12 - 18 minutes (bake time will vary depending on how thick your zucchini are and how crisp/tender you want them).